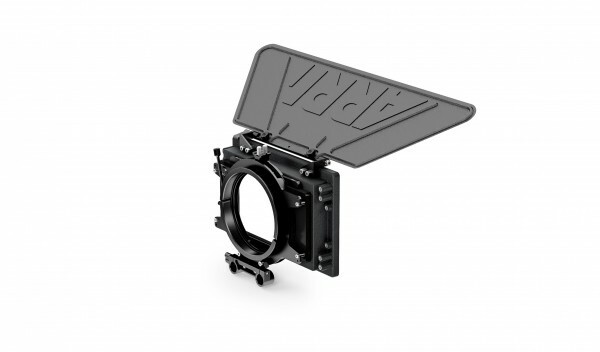 Product information "ARRI Mini Matte Box MMB-2 Basic LWS Set"
Mini Matte Box MMB-2 Basic LWS Set. For one 4" x 4" / 4.5" round filter frame and one 4" x 5.65" / 4" x 4" frame. Rear stage fully rotatable. K2.66124.0 114 mm back. For one 4x4in/4.5in round filter frame and one 4x5.65in/4x4in frame (filter frame is not incl.). Rear stage fully rotatable. Related links to "ARRI Mini Matte Box MMB-2 Basic LWS Set"
Customer evaluation for "ARRI Mini Matte Box MMB-2 Basic LWS Set"